Teeth are an important part of the personality and without them, you can’t eat, speak and smile. Your self-esteem and confidence are also shattered due to your imperfect teeth and you feel self-conscious and embarrassed too. If you are experiencing these kinds of feelings and want to avoid bigger dental problems, then consider Routine Dental Check Ups and Cleaning in Islamabad. 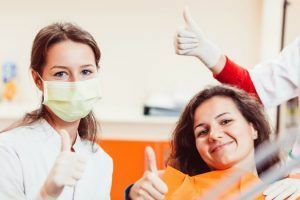 What is Routine Dental Check Ups and Cleaning? It is really important to make an appointment to consult the dentist every six months, for your routine dental checkups and cleaning. It’s also important to brush and floss your teeth twice a day to avoid dental issues. But some people suffering from the diabetes, weak immune system and tendencies towards gum disease or cavities should consider Routine Dental Check Ups and Cleaning in Islamabad. It will help to keep your teeth clean. It will avoid all oral infections and problems. Everyone should visit the dentist for Dental Check Ups and Cleaning once in a while. But if you have dental problems such as infections and oral diseases then it’s mandatory for you to consider Routine Dental Check Ups and Cleaning in Islamabad. The dentist at the Royal Cosmetic Surgery will examine your teeth and gums to check the symptoms of tooth decay or gum disease. If you have any oral infection or issue then the dentist will clean your teeth. No matter how well you clean, brush and floss your teeth at home, a professional cleaning, scaling and polishing will make your teeth and gums stay healthy. How to Prepare for the Checkup and Cleaning? You will have to share your complete medical history. Clean your teeth before visiting the dentists for the checkup and cleaning. It’s a non-surgical, painless or non-invasive procedure. There are no side effects, complications and downtime. Routine Dental Check Ups and Cleaning in Islamabad is easy and takes no time at all to finish. It will help to keep your teeth safe from the germs. It will also keep your teeth from diseases. It will prevent your teeth from infections. You should avoid certain foods and drinks. Try to keep your teeth clean to avoid oral infections and diseases. The dentist will guide you about the special post-operative care instructions. If you want to keep your teeth clean, shiny and white then feel free to consult the Royal Cosmetic Surgery to consider Routine Dental Check Ups and Cleaning in Islamabad.